You’re probably familiar with the Secret, movie and book which popularized the Law of Attraction and raised global awareness about the principles behind this law. The Secret was a huge success, but it provoked many questions. It was very successful in making a hype, but many criticized it for lacking concrete steps and guidance in implementing it in our everyday life. 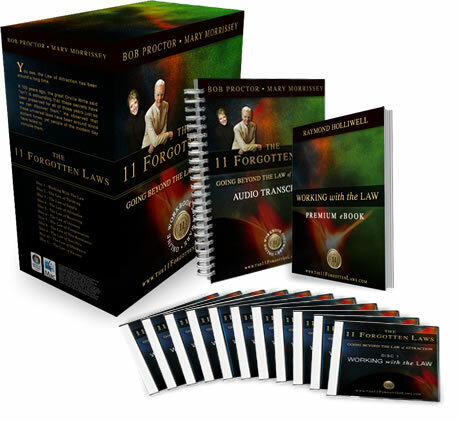 Speakers from the Secret, Bob Proctor and Mary Morissey took the advantage of that mentioned downside of the movie and made a thorough course for working with the law of attraction and utilizing its power, called 11 Forgotten Laws. Bob Proctor is a motivational speaker and personal development coach who owns a seminar company called Life Success Productions LLC. He had dropped high-school and have worked several low paying jobs. Napolen Hill’s book Think and Grow Rich gave him hope and with the help of his new mentor, Earl Nightingale, he managed to earn more than $100,000 in the first year of his new discovery. Bob Proctor moved to Chicago to work with Earl Nightingale, and after attaining the position of Vice President of Sales he established his own company. He has published several self help books and personal development courses. Mary Morrisey is founding minister of Living Enrichment Center, New Thought church, which was one of the biggest New Thought churches in the world. Mary’s church filled for bankruptcy and she and her then-husband were sued by congregation members for $10 million of debt owed. You can read more from her controversial biography on wikipedia. This program is consisted of 12 CD-a with 95 audio lessons, Raymond Holliwell’s e-book WORKING with the Law, transcript of all 95 lessons, accompanying workbook for the program in which you can keep your notes and points. Some bonuses are also included. First CD is an introduction to the program and to the 11 secrets discussed in this course. Besides the Law of Attraction there are 10 other laws one should learn and apply in order to fully utilize the Law of Attraction. These 11 laws should be used together in order to form our desires. ” Desire is not equal to Happiness”. 11 laws also here to teach you how to get what you want and be happy. In this chapter authors explain how attention should be given to the predominant mental state. In this chapter it’s basically explained how we should always ask for more, because the universe is abundant. 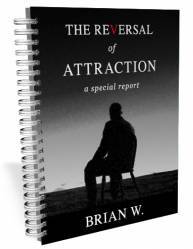 Authors explain how with most of us our power of attraction is too weak to meet the demands. Therefore, our mental magnet is significantly reduced in strength by our worries and our fears, and our inflow of good is slowly closed off or muted. FOrtunatelly, we can charge up our minds with a mental energy which builds up a power of attraction to satisfy our needs. Law of Attraction is explained in detalis in this chapter, together with 3 steps to process this law. Here authors explain how in order to receive something, one should give because giving is the first or fundamental law of life. In order to increase our desire we should express gratitude and appreciation. This law explains how one should firstly earn what he or she receives or he/she cannot keep it. One cannot attract better reality until he himself first become better. Quote from the Secret goes well with this law: “Whatever you resist persists”. Here is explained how we should keep our mind on the objective and make little of the obstacles and with time, we will reach our goal. There is a saying that comes to memory which I think suits well here: Anything worth achieving was never achieved without effort. Obedience is actually doing what we know is right for us. In this chapter authors explain how there are no limits to our possibilities. Although this program is mentioned a lot on the Internet, I couldn’t find an unbiased customer review. However, this program has a rather high refund rate (32.62%), which makes an unclear sign if this program is worth the price of $97. On the other hand, the program offers a 60 days money back guarantee so the risk of trying out this program is minimal. Very detailed program which does a good job in explaining the theory behind the Law of Attraction and other accompanying laws. Visit 11 Forgotten Laws Website! Click here to access your free resources!